If you have any troubles or questions while or after ordering, please email the editor. Did you know that you can BUY A COMPLETE SET OF NCLR FOR ONLY $400? No additional postage added, while supplies last. See this option in our online store. Prices vary. Click the BACK ISSUES tab above to see a listing of issue prices. Links to all issues' tables of contents are in the blue column to the left. To order back issues by credit card, go to our store in the ECU online shopping mall. To order a back issue by check, download and print this order form (also available in Word) to mail with your check. Vendors, contact NCLR to order back issues of NCLR to sell in your store or gallery (40% off cover price; add $1/issue for postage). Also ask us about planning an NCLR event at your place of business. Vendors are listed on our retail outlets page here. 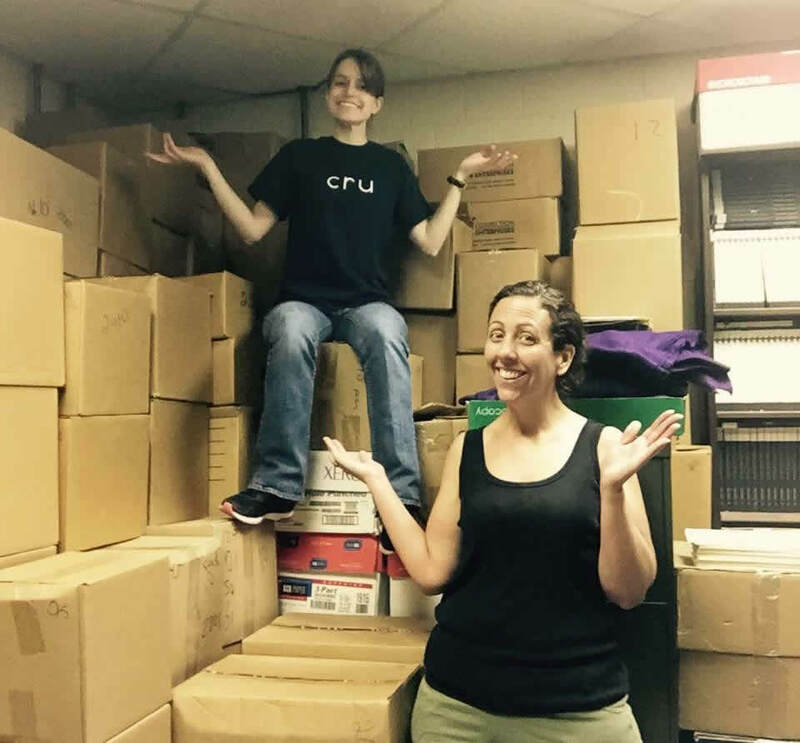 Below, 2014-15 Editorial Assistants Brianne Holmes and Abby Hennon in NCLR's back issue storage closet, which they reorganized to make room for the surplus 2015 issues. Please help us to empty this closet by purchasing back issues.